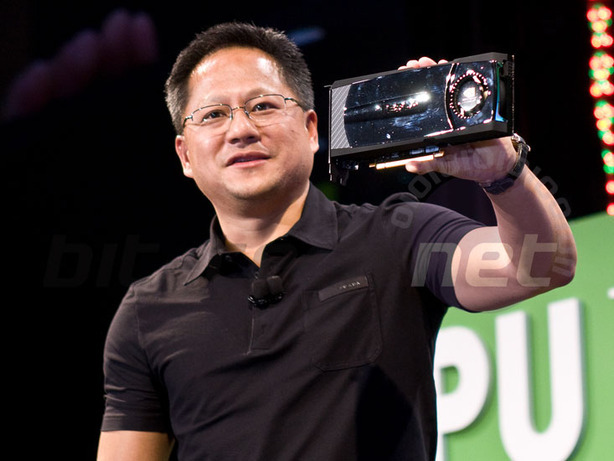 After revealing the new Fermi architecture, Nvidia's CEO Jen-Hsun Huang showed off the first Fermi-based graphics card to the audience at his opening keynote at GPU Technology Conference in San Jose, California. Update: There's also a six pin connector on the board as well. 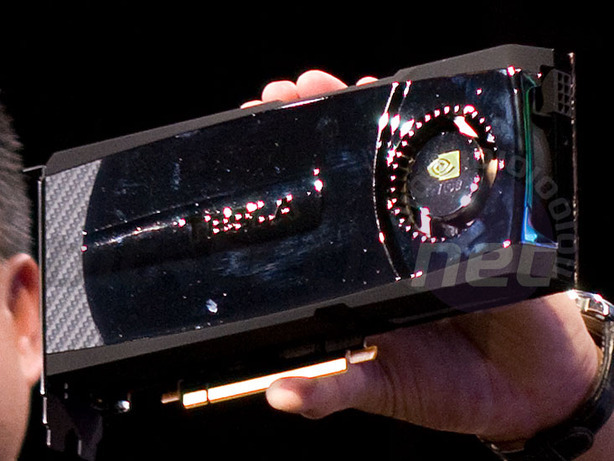 Nvidia has announced that the first cards to be released based on its new GF100 (Fermi) architecture will be bafflingly named the GTX 480 and GTX 470.